From the classic porterhouse to the ribeye, steaks are undoubtedly a staple protein in Western cuisine. Selecting the perfect sauce to serve alongside your cut of steak may be a complicated affair at times but it’s worth the extra effort. The right sauce adds buckets of extraordinary flavour and creates a dining experience your customers won’t soon forget. Cilantro, parsley and oregano together make up the three main components of a classic chimichurri sauce. A highly regarded as a staple in Latin American cuisine, chimichurri is simply seasoned with a pinch of salt, vinegar and garlic. The refreshing notes of the tangy base makes it an ideal condiment to cut through the richness of any juicy steak. One of the more popular choices to accompany steak, the traditional peppercorn sauce is made with beef stock, peppercorn and double cream. Reduce the stock and cream over a small flame, then season according to taste, and you’ll have a deliciously rich, creamy and versatile sauce that goes with your steak – and many other dishes. A deceptively simple brown sauce, espagnole is regarded as one of the five mother sauces in classic French cuisine. There are many variations derived from its base - Africaine sauce, Bigarade sauce and Bourguignonne, among many others. Espagnole’s recipe calls for a combination of brown roux, mirepoix, and tomato paste, which are then reduced to thicken, resulting in a deliciously rich and full-bodied sauce. Opt for something with a touch of traditional when you whip up a herb butter recipe. This age-old favourite makes an ideal companion to meat dishes for those with little time to spare. Blend a flavourful fusion of butter, garlic, basil and parsley, add a dash of salt to taste and voila! A fuss-free condiment that delivers a fragrant finish. The best part about herb butter? It’s so easy to customise – just add your favourite herbs and spices, and you’re good to go. 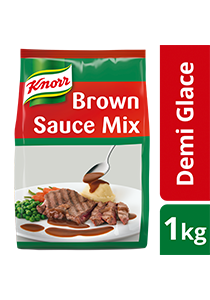 To Asian audiences, mustard may seem like an unlikely condiment but its strong flavours stand up well to a robust steak, making this sauce a fantastic alternative to bearnaise. Combine Dijon mustard with shallots, butter, and balsamic vinegar to create an irresistibly creamy mixture that’ll go very well with your meat. Depending on taste, this recipe allows cream to be added to achieve a desired consistency. A homely, comforting combination of mushrooms, butter, cream, pepper, and salt will certainly impress just about any steak connoisseur. Simply bring the ingredients to a boil and simmer until it reaches a golden caramel brown. Packed with dense flavours from the mushroom’s umami and the richness of the butter cream base, this versatile condiment also pairs well with roasted potatoes.